From Chapter 1 of Ruth, we can learn many "Ought Not To" dos as Christians. Because of a famine “in the house of bread” in the “land of praise”, Naomi and her family, go to the “washpot” (Psalm 60:8), looking for an answer to their famine. In doing so they go live with the heathen without the “bread” of God’s Word and the “praise” of His name. In our lives we might have famines as well – famine of health, famine of time, famine of work, famine of fellowship and love, famine of rides to church, etc. This should never give us an excuse to incorporate the world into our lifestyles, or not to attend church, or worse yet to forsake God. In other words, a famine is no reason to backslide – we must put our faith in God. 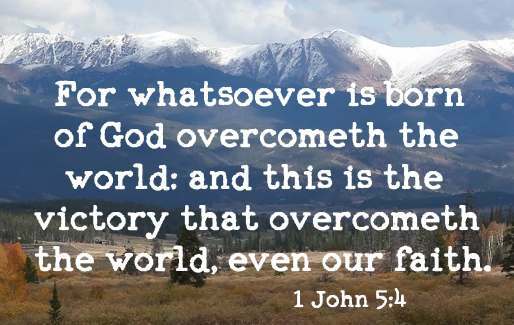 For whatsoever is born of God overcometh the world: and this is the victory that overcometh the world, even our faith (1 John 5:4). Do not intermarry with them. Do not give your daughters to their sons or take their daughters for your sons, for they will turn your sons away from following me to serve other gods, and the LORD's anger will burn against you and will quickly destroy you (Deuteronomy 7:3-4 NIV). Shall we then hearken unto you to do all this great evil, to transgress against our God in marrying strange wives (Nehemiah 13:27)? Be ye not unequally yoked together with unbelievers: for what fellowship hath righteousness with unrighteousness? and what communion hath light with darkness (2 Corinthians 6:14)? One would think this admonishment would be pretty simple to follow but the wisest man ever, King Solomon took many wives from the world and fell out of favor with God (1 Kings 11:1-13). The devil knows this is a weakness of man so we need to be very aware of this trap. Single saints of the Church “ought not to” choose a spouse from the world. Marry someone who has been born again. Brethren, if a man be overtaken in a fault, ye which are spiritual, restore such an one in the spirit of meekness; considering thyself, lest thou also be tempted (Galatians 6:1). For yet a little while, And He who is coming will come and will not tarry. 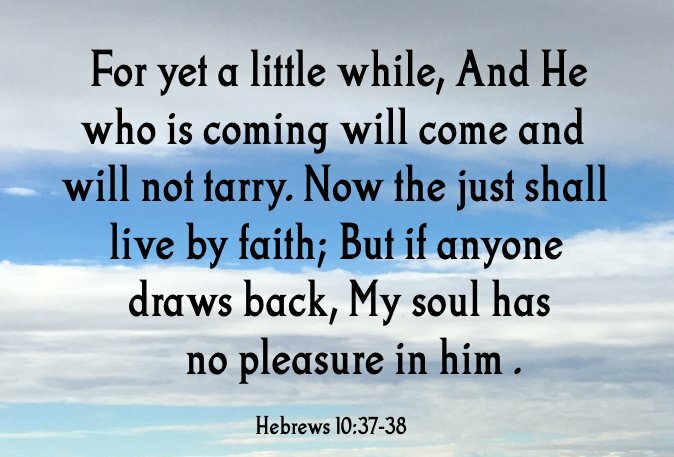 Now the just shall live by faith; But if anyone draws back, My soul has no pleasure in him (Hebrews 10:37,38 NKJV). And had commanded him concerning this thing, that he should not go after other gods: but he kept not that which the LORD commanded (1 Kings 11:10). Wherefore the LORD said unto Solomon, Forasmuch as this is done of thee, and thou hast not kept my covenant and my statutes, which I have commanded thee, I will surely rend the kingdom from thee, and will give it to thy servant (1 Kings 11:11). And he said to Jeroboam, Take thee ten pieces: for thus saith the LORD, the God of Israel, Behold, I will rend the kingdom out of the hand of Solomon, and will give ten tribes to thee (1 Kings 11:31). When Naomi first returns to Bethlehem – Judah, she blames God for dealing bitterly with her. I went out full, and the LORD hath brought me home again empty: why then call ye me Naomi, seeing the LORD hath testified against me, and the Almighty hath afflicted me (Ruth 1:21). One ought not to blame God for the state of affairs in our lives if we choose to backslide. Surely the person who knowingly and willingly turns away from the will of God will suffer the loss of peace, joy and love he once knew. How much more severely do you think a man deserves to be punished who has trampled the Son of God under foot, who has treated as an unholy thing the blood of the covenant that sanctified him, and who has insulted the Spirit of grace (Heb 10:29 NIV)? If we want to blame somebody for our afflictions we suffer as a backslider, we just need to go look in the mirror and take full responsibility. Then get on our knees and pray for forgiveness with conviction to change our backslidden ways. My little children, these things write I unto you, that ye sin not. 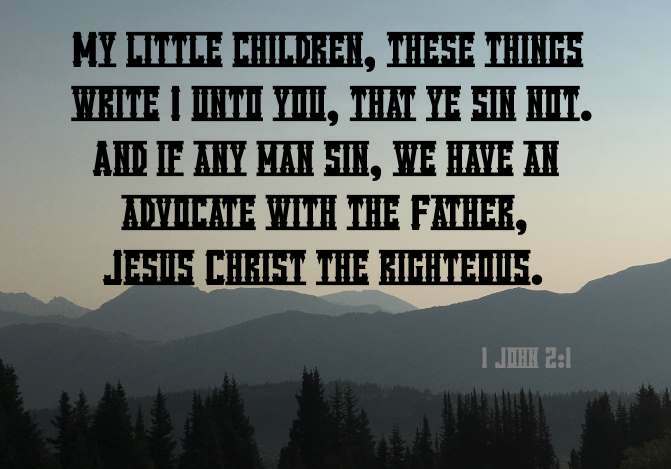 And if any man sin, we have an advocate with the Father, Jesus Christ the righteous (1 John 2:1). Thus far, Ruth had to overcome many negative factors to find God. I believe it is a mark of God's amazing grace that People like Ruth, like us, can overcome negative influences to seek after God. From "Ought Not To" to "Ought To Do"